Workers in many dangerous fields risk serious injuries or death in workplace accidents. One such devastating accident is a trench collapse. In this type of accident, a trench suddenly caves in on workers at a construction site, causing them to suffocate or experience other life-altering injuries or death. However, workers or their families could be entitled to workers’ compensation benefits to financially compensate them. What Are the Causes of Deadly Trench Collapses? What Other Dangers of Injuries Do Workers in Trenches Face? Injured workers—and their families if the accident causes the workers’ death—may be entitled to workers’ compensation benefits if they are injured in a trench-related accident. Given the severity of their injuries, victims could need long term and expensive medical treatments and become permanently disabled—at least for the work they have performed in the past. Workers’ compensation benefits can help pay for the medical treatment they need and the wages they lost. 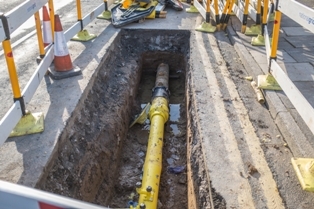 In addition, workers could also have a third-party claim against a subcontractor or other party if they were responsible for causing the trench cave-in or other accident. These cases can be complicated, so it is best to retain an experienced workers’ compensation attorney as soon as possible after one of these accidents. If you or a family member was injured in one of these tragedies, I urge you to call me at 877-360-0183 to schedule a free consultation to learn how I can help you fight for the workers’ compensation benefits you deserve.